In this video we will be composing another Digital Matte Painting called "Castle Rock". This time we will be using the 3D view to compose our shot. Using GIMP (or any other software of your choice), we will first take an image and cut it into a few layers. Then add some Visual Interest in the form of a castle or two, some Ruins and other assets to build our Matte Painting. Once we are happy with our assets, we then export the images (with alpha transparency) and bring them into Blender using the "Image as Plains" tool. When the Layers have been positioned and scaled we can add some more visual interest with the addition of a Waterfall. To make our work a little easier, The waterfall video clip has been turned into an Image Sequence. (You could just use the video and create a custom mask). Then using the same technique as the Waterfall we can add smoke and other moving elements to add more life to our shot. With the addition of Motion blur, Color Grading and finally a nice heavy Sunbeams Effect we can finish off and compose our Matte Painting. If you create an awesome Matte Painting and want to share it with us, be sure to post a link in our Facebook group. I hope you guys enjoy this video! and as always, Thanks for watching!.. I make Youtube tutorials for blender Users. 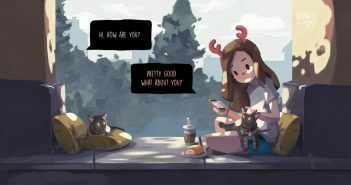 From CG and VFX to Animations, Shorts and Asset Creation. I upload tutorials once a week along with any assets we create for you to use in your own projects. 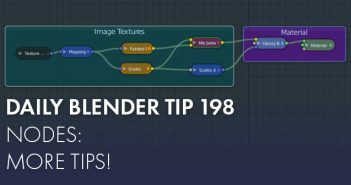 Previous ArticleDaily Blender Tip 198: More node tips!